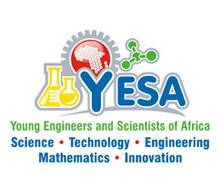 YESA is a non-profit organisation which is aimed at increasing the output of engineers and scientists from schools in Africa. YESA (pronounced “WHY?Eeeee-Sah!”) serve the needs of different INTERVENTIONS with students from Grade 0 – 12. As you can see from their logo (to the left) YESA takes STEM Education a step further by adding Innovation to make it STEMI (Science, Technology, Engineering, Mathematics and Innovation). 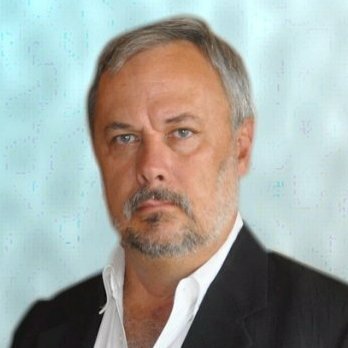 I got in touch with the managing director of YESA, Dr Ron Beyers. Dr Beyers did his PhD through North West University in “Promoting Human Capital Development through ICTs, Creativity and Innovation”. He has been educating grade 8 – 12 students on various subjects including Biology, Physical Science, Mathematics, Computer Studies, Thinking Skills, Design and Technology, Bible Education and Computer Literacy. I trained as a Biologist and then moved into the teaching of Natural Science, Mathematics, Physical Science, Computer Science and Technology Education (Design and Technology). The main reason included teaching at Queenstown Girls High in a rural community where there was a shortage of teachers. I then moved to St Alban’s College where I conducted a curriculum audit and identified the need for change. Key issues included the need for creativity especially in the areas of art. Included in this experience is the management of a significant computer center with a laptop program back in the late 1990s. It has been said that engineers (and scientists) are vital to the economic growth of a country. What is your opinion on this this? Why/why not? Academic deals with the mind whereas technical subjects deal with the hands. There is a need to link the mind and the hands which is what our country really needs. We have the labour – and the brain power – but we need to bring these two together to make a difference. There is too much in the form of text book knowledge and labour with not enough being done to promote the implementation of ideas and solving real world problems. Taking this further there is a need to promote true innovation by encouraging more individuals to take their ideas to the market. Is this what sparked the incubation of YESA, or are there other factors involved? What are they? Two major key influences in my life. Firstly, I identifying the need to teach learners differently in order to change the outcome. We cannot continue teaching the same way and expecting a different outcome. Secondly, the African Advanced Institute for Information Communication Technologies, commonly referred to as the Meraka Institute identified the need to establish a program specifically to nurture young engineers. I was headhunted by the Meraka Institute to implement such a program which has now become known as the Young Engineers and Scientists of Africa (YESA). These are rare opportunities and I jumped at it to make a difference to the lives of more learners in the country and for my own professional growth. When was this, just so by the way? I joined Meraka in April 2006 as a researcher. I investigated several programmes to meet differing needs using this opportunity to also capture a wealth of data which I later used to convert into a PhD and to publish in several internationally accredited Educational Journals. I joined MXIT again after many years of absence just to check out YESA. What can students expect to find and/or learn from YESA on MXIT? One of the programs that I developed was specifically aimed at identifying individuals with talent as a long-term human capital development program. South Africa-Finland Knowledge Partnership on ICT (SAFIPA) to develop a prototype of such a system which was internet based. Personal funding was then used to convert this to a MXit platform as we soon realised that we were not reaching our intended market because of a cost factor. One key deliverable was the introduction of “Ask Prof Ron” anything relating to STEMI. This soon became a significant hit with the users spreading to users across Africa and serving up a significant pages per month. This forms part of my Post-Doctoral research. Further funding is needed to expand this project to reinforce the trends that emerged and to develop it into a substantial value added service. What is CSIR and the Meraka Institute’s involvement with YESA? Currently YESA is operating under licence from the CSIR as public funds were used to initiate the programme. They have remained in a supportive role and I appreciate the opportunity that I was afforded. The YESA website refers to ‘interventions’ all the time. What are these interventions and how can people (educators / parents / volunteers / students) get involved? FabKids (Gradess 1-12) – Learners are exposed to a rapid-prototyping environment of a FabLab to unleash their creative and innovative talents. Teamwork with a strong division of responsibility needed to solve real-world challenges using a variety of technologies available including digital manufacturing. FabTeachers (All subjects) – FabKids need to be supported when they return to normal classroom environments. Teachers experience the FabLab by adopting the same pedagogy (the science and art of education) as FabKids where the emphasis is on the design process and the transferability of skills to other subjects and learning areas. Digital Kids (Grades 5-12) – The Net Generation is being exposed to the wonders of a technological world and have a need to express themselves digitally through video editing, pod casting, image editing, animations, gaming, etc. A strong emphasis will be placed on the generation of educational material using open source software. Virtual Interactive Classrooms (All subjects) – Access to quality educators is a major problem especially in rural communities. Modern technologies are mature enough to enable the digital sharing of educators within a given community through the layering of digital inclusion on top of a stable ICT connectivity platform. Radio networks can be used to support local communities with additional services. My YESA Passport (Grades 1 – Post Graduate) – Based on experience in the field there are a number of learners with talent can be identified and tracked in terms of their involvement in STEMI events, competitions and Olympiads. This portal is designed to operate on a MXit platform to deliver content and promote interactivity with learners especially from the back seat of a taxi in rural communities at affordable connectivity rates. Destination Zero Carbon (Grades 8-9) – Growing the next generation workforce and leaders who are confident and competent in using futuristic energy hydrogen technologies to serve the needs of our society. This immersive and competitive strategy provides hands-on opportunities to nurture a spirit of invention that is needed to usher in the new age of green energy industries. YESA RESEARCH – Providing research opportunities to conduct impact studies of YESA initiatives and reporting back to funders and academia through appropriate channels. Establishing what works and what does not work is an important component of defining strategic directions of current and future interventions. Like all Non-profit organisations the biggest challenge is sustainability. I believe that YESA can provide funding organisations with the right deliverables but more importantly would like to involve the whole organisation/company. This goes to the heart of creativity and innovation where employees can donate their time as well (personal and company time) in return for professional development through interacting with some of the best young minds that the country has to offer. Being exposed to this type of environment I believe can unlock untapped energies in employees. This in turn will lead to teachers, pupils, parents, funders and partners being drawn into a more compelling environment so that together we can make a difference in the lives of our future employees. Anything else that you would like to add, or some wise words to prospective STEM (Science, Tecnology, Engineering, Maths) pursuers? If learners cannot learn the way we teach, then maybe we must teach the way they learn (Ignacio Estrada). The youth are growing up in a different world and we must look to change the input if we want to change the output. The potential is there and we need to open our eyes to a different pedagogy where youth are the innovation capital of a country’s future. As Dr. Beyers stated in the interview, YESA was incubated within the African Advanced Institute for Information Communication Technologies (more commonly – the Meraka Institute), which is a branch of the Council for Scientific and Industrial Research (CSIR) in Pretoria. Special mentions: +WAAW Foundation – STEM Education For African Girls , +I-SET , +Andre Hoffmann (who promoted YESA on Twitter), +Proudly South Africa , from the CSIR Meraka Institute: +Kobus Roux , +Adele Botha , +Ishmael Makitla .